TOKYO (Reuters) - Japan's Takata Corp (7312.T) said it would post a loss for the past business year - a warning that comes on top of a huge expansion in its global recall of air bag inflators and adding urgency to the need for it to secure financial aid. Takata has begun looking for a financial backer to help pay for the costs to recall inflators, sources said last month. Since then, however, its woes have only worsened. U.S. transport authorities last week announced a recall of up to 40 million more of the company's air bags, on top of the more than 50 million that have already been recalled globally. The inflators can inflate violently, releasing metal shrapnel into the vehicle and have been blamed for 11 deaths and more than 100 injuries, mainly in the United States. Takata warned it would post a net loss of 13 billion yen ($120 million) for the year that ended March 31, down from its previous estimate for a 5 billion yen profit. The loss amount is not that big, but this is largely due to most recall costs so far having been borne by automakers and Takata benefiting from a jump in sales to replace the inflators. Airbag revenue has surged 60 percent in the last three quarters compared to three years earlier. Takata is, however, widely seen as likely having to bear much more of the recall costs - though exactly how much is yet to be determined as the company and automakers still need to thrash out responsibility over the root causes of the defect. If Takata was found to be solely responsible for the problem, it could face a bill of more than $9 billion in recall costs, based on a rough calculation that each replacement kit costs around $100. It also faces U.S. lawsuits. 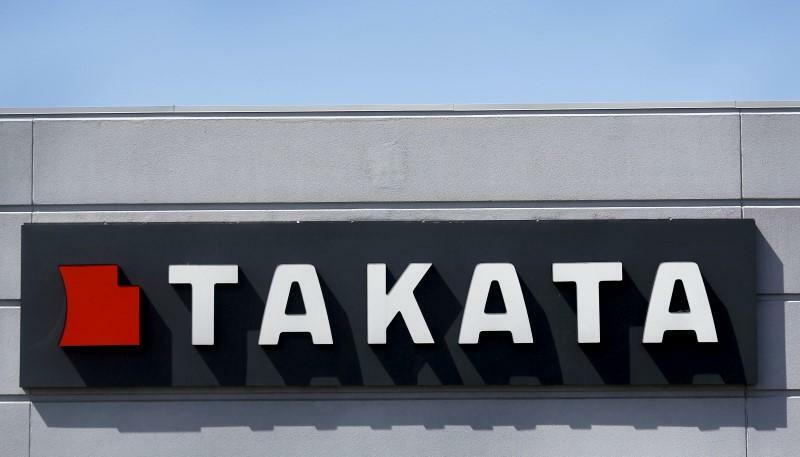 The latest recall will also prompt more automakers to dump Takata as a supplier for replacement parts, said Scott Upham, chief executive officer of Valient Market Research. "It's a vote of no confidence from the automakers, and the days of Takata profiting from the situation are waning." he said. Honda Motor Co <7267.T>, once a top buyer of Takata air bags, has been phasing out the use of the company's replacement kits and said on Monday they were no longer used at all. "As of now, we are not using Takata as a supplier for inflator replacement kits, and we're not planning to use them for replacements in the future, a spokesman said. Autoliv (ALV.N), Daicel Corp <4202.T>, ZF TRW and other smaller inflator makers have been ramping up production, and analysts say they can now supply a hefty portion of replacement parts. Takata produces nearly 50 percent of the air bag inflator replacement kits, Upham said, adding that up to 90 percent will likely be produced by other suppliers by early next year. This will help shrink Takata's market share to 5 percent in 2020 from 22 percent in 2015, he added.